Bowel cancers can avoid being caught by immunotherapy by ‘switching off’ a molecule on the surface of cells that is otherwise recognised by treatment. 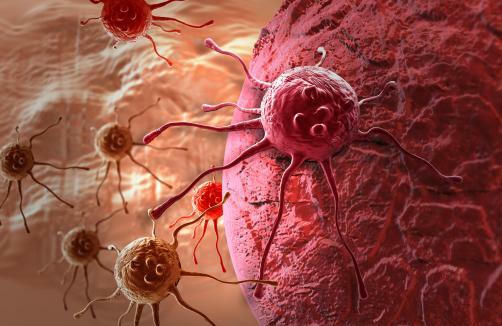 A team of researchers found that many mini bowel cancers grown in a lab were able to hide from immunotherapies by reducing levels of the carcinoembryonic antigen (CEA) molecule which immunotherapies use to latch onto in order to attack tumours. Treatment with the immunotherapy cibisatamab reduced growth by 96 per cent in tumours with high levels of CEA, but by only 20 per cent for low CEA, and 53 per cent in tumours with mixed levels of CEA. However the researchers found that tumours could alter their levels of CEA after they separated out tumours with high and low levels. They found that the CEA levels had changed in the tumours in both groups.